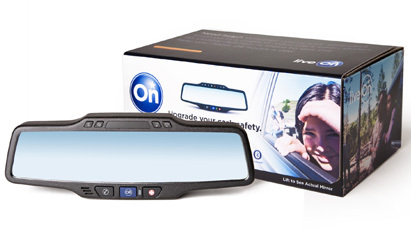 OnStar FMV - Now you can add OnStar to vehicles you never thought possible with the FMV mirror. You’ll get access to core OnStar services by simply replacing your rearview mirror and subscribing to OnStar service. How is OnStar FMV different from a vehicle with factory-equipped OnStar? One-button access to Emergency Services, Roadside Assistance and Hands-Free Calling. OnStar FMV also includes built-in Bluetooth® wireless connectivity. A few select OnStar services — which depend on other vehicle systems — are not available on the OnStar FMV product. These include: Stolen Vehicle Slowdown, Vehicle Diagnostic Reports and Remote Door Unlock. OnStar will provide Roadside Assistance to ensure all our subscribers receive the help they need.